Turkmen Bombardment, 1998: The Turkmen government, alarmed by the formation of the new Islamic Emirate of Afghanistan, has ordered airstrikes on enemy positions. There are more opportunities for conventional airstrikes now that a state has formed, and more targets due to the new government moving its heavy units north. Load up those Su-25s and let rip. Mission 2013D – Part I, 2014: China has staged a series of exercises opposite Taiwan throughout 2013. Is this another one, or the real thing? 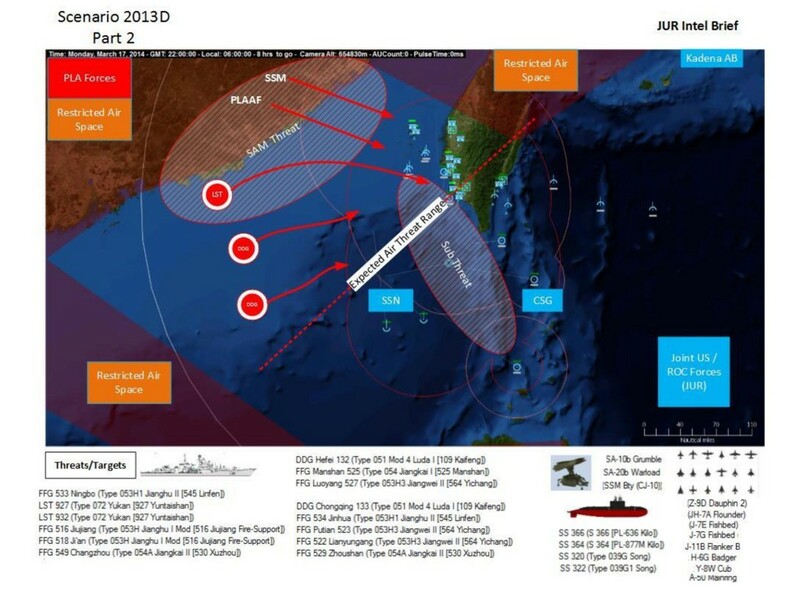 Mission 2013D – Part II, 2014: It is now positive: China is attacking Taiwan. Massive waves of Chinese air, surface & subsurface forces are maneuvering and assaulting ROC assets. Can the island fortress hold? Hungarian-Serbian Border Incident, 2017: Hungary’s support for the independence and EU acceptance of Kosovo is (surprise!) coming back to bite it. Hungarian radicals have murdered several Serbs in the border town of Tompa, and the Serbian government has used the incident to steadily rise tensions. The situation is about to get out of control. Out of Meggido – Team Sunfish, 1973: In response to Soviet threats to intervene on behalf of Egypt and Syrian during the Yom Kippur War, President Nixon has ordered a massive series of attacks on Soviet forces around the world. Nixon is not insane: he is bluffing that the Soviets will be sufficiently rattled to back down from the confrontation. 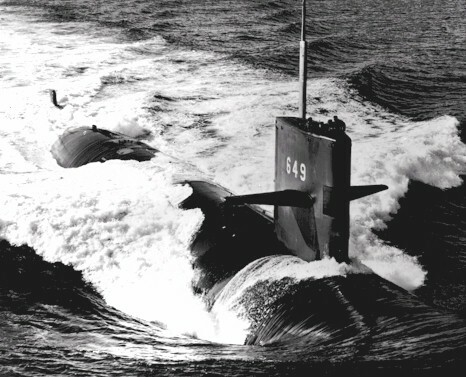 This scenario follows a trio of three frontline US attack submarines as they engage Soviet tactical and strategic submarines in their area of operations. Out of Meggido – Battle of the Arabian Sea, 1973: As part of Nixon’s strategic gamble, the Coral Sea battlegroup is about to engage a large Soviet convoy at the Gulf of Oman. Can this attack succeed without being “too successful” – ie. leading to nuclear escalation ? This scenario assumes that the economic troubles facing the European Union have continued and that tensions between member nations have increased. In particular, tensions have increased between France and Portugal. Portuguese fishing boats have repeatedly violated areas near the Trevelyan Escarpment in the Bay of Biscay, which France has designated as a marine preserve to help restore fish populations destroyed by overfishing. France has warned Portugal that something must be done or it will be forced to take action against Portuguese fishing boats violating the preserve. It is worth noting that this scenario is a “police action” rather than a “military action.” Generally speaking, one is not supposed to sink fishing boats even if they are violating marine preserves. If you reach the point where you actually have to shoot at someone, it probably means you have done something wrong. You are instructed to initiate patrols of the Trevelyan Marine Preserve. The area is marked on your tactical map as an Exclusion Zone. Several Portuguese fishing boats, in direct violation of our instructions, appear to be fishing in the Trevelyan Marine Preserve. The catastrophic losses caused by the overfishing of commercially important species such as tuna make it critical that these preserves are no longer violated. At least three Portuguese fishing boats have been spotted in the preserve. Your task force consists of the Aconit and the Cormoran. Locate and seize any commericial vessels violating the Trevelyan Marine Preserve. Once you approach a fishing vessel, you should maintain a distance of less than 1,000 yards for as long as it takes to explain to her captain that the boat is being taken into custody. The fishing boats should be seized, not sunk. However, if any of the fishing vessels attempt to flee, you may fire warning shots and, if absolutely necessary, disable them with naval gunfire. Be aware there is a Portuguese warship in the area and her captain may misinterpret any use of force. The Out of Megiddo scenarios assume that, in response to Soviet threats to intervene on behalf of Egypt and Syrian the Yom Kippur War, on October 25, 1973, President Richard Nixon initiated a massive series of attacks on Soviet forces around the world. The scenarios assume Nixon is not interested in actually destroying the Soviet Union. Instead, he is convinced the only way to prevent the situation from escalating into a nuclear exhange is to strike first, but to do so in a way that simply prevents the Soviet Union from projecting power. Nixon is sure that as long as there is no direct threat to the Soviet homeland (and he is making sure that message is being communicated through diplomatic channels), the Soviets will not launch their strategic weapons even if they lose the war at sea because there will be no need for them to do so and no real advantage in it, either. It is a huge gamble, but Nixon thinks this is now his only real option. At the direction of the President of the United States, we are initiating attacks on Soviet forces. During the last several weeks, in possible preparation for attack against the United States and its allies, the Soviet Union has deployed many elements of its navy to forward staging areas around the world. It is vital that the supply of oil from the Persian Gulf remains available to the United States and its allies. It is equally vital that the Soviet Union is denied the use of oil from the Persian Gulf. A Soviet convoy consisting of two or three warships and ten to fifteen tankers is currently exiting the Gulf of Oman. A Soviet surface action group (SAG) was recently observed in the Arabian Sea to the east of your position. Between four and ten Soviet submarines are known to be operating in and near the Arabian Sea. At least one of these has been identified as a Charlie-class missile submarine. Soviet aircraft based out of Socatra may represent a threat to your forces. Your battle group consists of CV 43 Coral Sea, CG 29 Jouett, DDG 46 Preble, and FF 1044 Brumby. DD 938 Jonas Ingram and SSN 677 Drum are on patrol in your area and are chopped to your command. 1. 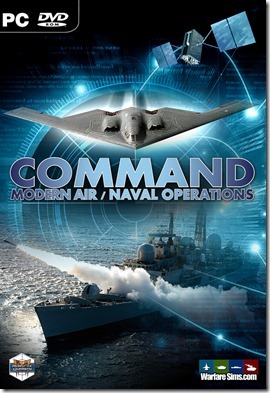 Locate and destroy the Soviet convoy exiting the Gulf of Oman. 2. Destroy any other Soviet forces in your area of operation. It is of particular importance to eliminate the threat of Soviet submarines in the Arabian Sea, the Gulf of Oman, and the Persian Gulf. The Soviet Union has very limited air power in this region and we believe your battle group is superior to any surface forces they may have in the area. The most serious threat your forces are likely to face will be from Soviet submarines. Do not under any circumstances violate the neutrality of India. Weather conditions may affect the performance of some guided weapons. You are authorized to use special weapons. Repeat. You are authorized to use special weapons. The Out of Megiddo scenarios assume that, in response to Soviet threats to intervene on behalf of Egypt and Syrian during the Yom Kippur War, on October 25, 1973, President Richard Nixon initiated a massive series of attacks on Soviet forces around the world. During the last several weeks, in possible preparation for attack against the United States and its allies, the Soviet Union has deployed many elements of its navy to forward staging areas around the world. One of these areas is the Western Atlantic. One or two Soviet ballistic missile submarines, each with one or two attack submarines as escorts, are believed to be in the area marked on your tactical map. You should concentrate your search in this area. Your attack group consists SSN 649 Sunfish, SSN 650 Pargo, and SSN 591 Shark. Be aware that other elements of the United States Navy and the United States Coast Guard will be operating in and around the waters where your attack group is located. Locate and destroy any and all Soviet submarines in your area of operation. This scenario assumes that tensions between Hungary and Serbia during the next couple of years due in part to Hungary’s support for the independence and acceptance into the European Union of Kosovo. A few weeks before this scenario takes place, Hungarian radicals murdered several Serbs living and working in the border town of Tompa. Despite Hungary’s efforts to bring these criminals to justice, little progress has been made in the case. The Serbian government has used the incident and the lack of progress by the police to excite anger and outrage, going so far as to demand “compensation” from Hungary. This scenario also assumes that, by 2017, Serbia has replaced its aging MiG-29s with newer and more capable aircraft, specifically the late generation MiG-29M2s exported to countries such as Syria. Negotiations with Serbia over the murders of Serbian nationals in Tompa have broken down. Serbia has moved troops to the border and we are concerned they are preparing to launch a retaliatory strike against Tompa. A battalion-strength force with armored and infantry units is believed to be on the border, only a few miles from the town of Tompa. Serbia recently purchased several MiG-29M2s. These are highly capable aircraft and you should use caution if it becomes necessary to engage them. Your base is currently home to a squadron of JAS 39 Grippens. A company of mechanized infantry, an artillery battery, and supporting units are on patrol near Tompa and are chopped to your command. 1. Conduct patrols of the region surrounding Tompa. 2. Protect Tompa from attack. If any of these conditions occur, you are free to return fire and to eliminate any Serbian forces in your area of operation that appear to threaten Tompa or other civilian or government targets.